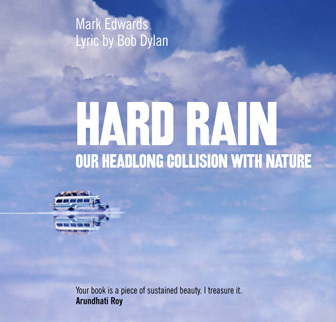 Each line of Bob Dylan’s poetic masterpiece, A Hard Rain’s A-Gonna Fall, is illustrated by leading photographers in this startlingly original book. Hard Rain brings alive our global problems and shows how they are all connected by cause and effect. Poverty, the wasteful use of resources, pollution, the loss of habitats and species, and the summation of our problems, climate change, are all understood by decision-makers but they typically continue to be addressed as separate issues. Hard Rain shows that we need to tackle all our problems together if we are to solve any one of them. In this extraordinarily powerful book – moving, delicate, cryptic, violent by turns – Edwards and Dylan remind us of how much is at stake. This book inspires me to try and stand again. To know that others share this bleakest outlook brings a ray of hope. At first I thought that Dylan’s lines should not be illustrated. I was wrong.